Exercising is always recommended to maintain good health, but sometimes you can injure yourself when you play sports or when engaged in exercise activities. Accidents, poor training practices, or improper gear can cause injury. Warming up and stretching can help avoid common injuries. However, if you do get injured, a Sports Injury can affect your performance, lifestyle, and limit your motion if not treated properly. So, it is always good to seek professional care. We have specialized instructors in sports medicine to treat sports injuries. We are highly trained in applying the latest techniques to deliver the best possible results for healing, strengthening, and re-balancing. 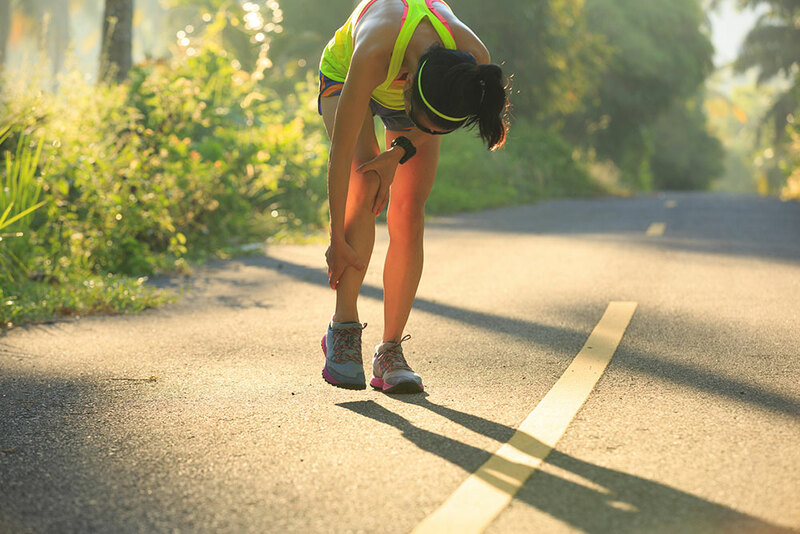 The most common Sports Injuries are sprains and strains, knee injuries, swollen muscles, Achilles tendon injuries, pain along the shin bone, rotator cuff injuries, fractures, and dislocations. If left unnoticed it can even affect your performance and range of motion. Here are few common injuries that occur while participating in sports activities. Strains are injuries that happen to muscles when it is stretched beyond its limit, contracted extremely, overused, and can even occur due to intensive training. It commonly occurs in legs and lower back. Sprains are usually stretch or tear that occur to ligaments and it commonly affects wrists, thumbs, ankles, and knees. Contusions or bruises result from sudden falling or hitting a hard surface and would eventually result in pain, swelling, and discoloration. Fractures occur mostly when the bone is subjected to a sudden force that it cannot withstand and is a fairly common sports injury. Dislocation happens when a bone slips out of place and is seen mostly in people involved in sports that have a lot of pushing, stretching or falling like football or basketball. Knee Injuries is the most common type of sports injury that occurs due to running, jumping, sudden twisting and turning of knees. It affects knee bone, cartilages, tendons and can even restrict movement. Proper diagnosis and treatment are vital to minimize the problem. Our specially trained and highly experienced Physical Therapists are experts in the science and medicine related to sports injuries and make imply advanced assessment techniques and healing modalities to treat a wide variety of Sports Injuries and will help you regain your motion. Depending upon the type of injury, the treatment also varies. After getting injured, getting back on track is important for regaining your healthy lifestyle. Physical therapy is the most reliable treatment known for sports injuries and rehabilitation. Treatment for Injuries to muscles, tendons, ligaments, strains, sprains and result in reduced pain and faster healing. Early intervention is key. If you are experiencing a major injury such as a bone fracture or injuries that require a surgery, it is essential to seek advise from an orthopaedic surgeon. If surgery is required, returning back to an active life will be enhanced with the direction from an experienced Physical Therapist. Physical therapists at Optimum Rehab Physical Therapy in Wall Street, Upper East Side, Astoria, New York City are specialized in Sports Injury Rehabilitation and Treatment. The expert Physical Therapists at Optimum Rehab customize treatment programs for different types of sports injuries that meet the current health and needs of each patient and use different modalities to increase strength, restore structural balance and regain mobility. The treatment program is tailored to meet the patient’s post-recovery goals. Even if you have more serious injuries affecting ligaments and tendons, the orthopedic rehabilitation team in Optimum Rehab Physical Therapy will help you get back to optimal function. Don’t be side-lined by injury, contact us today for Physical Therapy treatment for Sports Injury and get back to the sport you love.